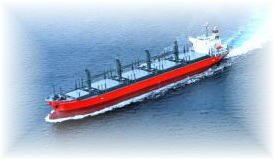 The company has operated in shipbuilding, ship repair, bridge construction and industrial machineries for over a century. In 1896, the company was founded in Hakodate viewing scenic Tugaru Straight. For over a century, we have met various needs and demands for shipbuilding, ship repair, bridge construction and industrial machineries as the largest heavy industry company in the north of Japan. In addition, we provide a wide range of products and services, including environmental facilities, nuclear power generation equipments and large cargo handling gears for port services. Basing upon the accumulated techniques and experiences over many years, we further continue our efforts to meet customers' needs for providing quality products and services.